Snow Routes What Happens if it snow or roads are icy? IT’S THE LAW. Passing a stopped school bus while displaying its flashing red lights carries a $378 fine and possibly a negligent driving find of $550. Crescent School bus drivers safely transport our students to and from school and to various activities including field trips and sports events. With the help of safe, conscientious motorists on our roads and highways, we have a proud record. Our buses, as well as all other school buses in the state of Washington, are equipped with important lighting systems to let motorists know when buses will be stopping. FLASHING AMBER LIGHTS mean the bus is preparing to stop to load or unload students and motorists must use caution. FLASHING RED LIGHTS mean the bus is stopping or stopped in the roadway loading or unloading students and motorists must come to a complete stop until the flashing red lights have been turned off and the STOP paddle has been retracted. We would like to thank those drivers who help keep our students safe by following these rules. Bus drivers are required to report vehicles that do not comply with this law. 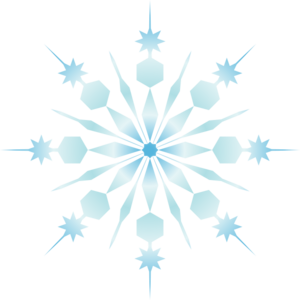 Clallam Transit System (CTS) customers should be aware of the possible changes in routes and schedules when the Olympic Peninsula experiences severe ice or snow conditions. CTS will attempt to keep buses on regular routes as long as conditions permit. Please note that during adverse conditions, some routes may be rerouted and it is likely most routes will be running behind schedule. If conditions are severe, trips on some routes may be cancelled. Tips for riding the bus in snow and ice: wait for the bus at the top of the hill closest to the stop; signal the bus so the operator has plenty of time to stop; wait until the bus stops and door opens before approaching; use handrails when getting on and off the bus. Wear highly visible and warm clothing.